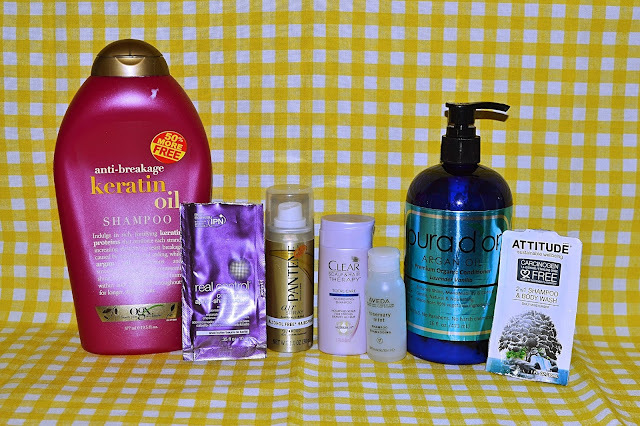 I am so glad to be starting my first Empties post/series of the new year! 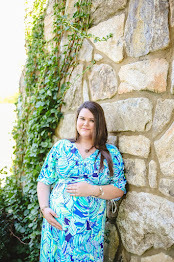 Below you'll find my honest reviews on everything from skin care & makeup, to soaps & candles! I'll share with you my loves, my hates, why I feel that way, and whether or not you should run and get these items. I linked as many things as I could find below, some of the links are affiliate links which help support this blog, but all of them can be rounded up as well with a google search if you feel more comfortable doing that! Thanks for reading along with me today & I hope you enjoy! I have made it my mission to start using up all of my lotions and potions that I've hoarded over the last few years and I started with this one around Christmas. I love this formula (so rich and creamy) and the scent almost feels spa-like. 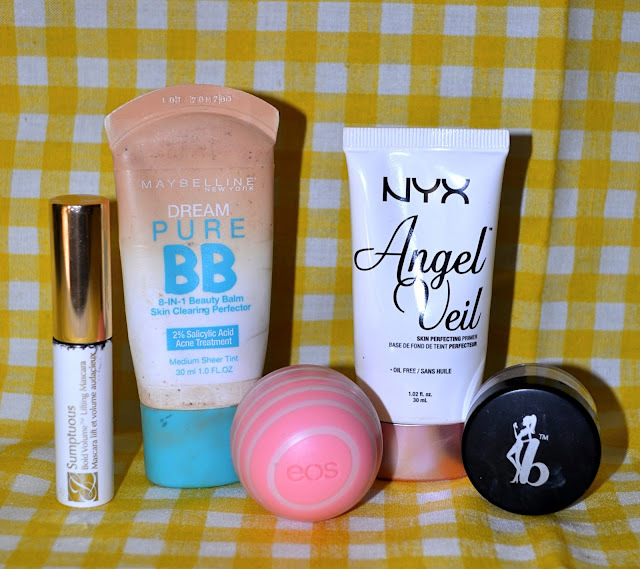 When I finally need lotion again, I will be picking up the B&BW body creams in some scent! I'm also trying to get through my giant stock of body sprays & perfumes, this one was the first to go. It has a very fruity scent, but once I make it through my body sprays I probably won't be purchasing many more of those because the scent doesn't have staying power. I don't have time to reapply throughout the day so I need a scent that's long-lasting. If you just want a mist for running-errands or after the gym, these are great and take forever to go through. I had a couple of travel sized items this time around that I needed to just use up the ends (because they wouldn't have lasted an entire trip) and this was the first. I love this scent and I love that I probably got this for free with a coupon-I love B&BW so much. This one is kind of fruity and floral with a little hint of musk, all of my favorite things. I have a million body washes to go through, but this scent is a winner! This was another travel-size on it's last leg that I just used up. The scent was probably something I liked when I was a little younger, but now it was too overpowering. It wasn't bad to use up, but I wouldn't go out and purchase it again. This was a little freebie from Bed, Bath, and Beyond a year or two ago & while I liked the sweet scent...this candle had absolutely no scent-throw. I had it burning on a table right beside me and I never smelled anything at all. I won't be buying any mini candles in my future. I think the Fall hand soaps might just be my favorite scents from B&BW. This one is so fresh and clean, you could honestly use it any time of the year. My only gripe about the deep cleansing version (while I do feel that it cleans very, very well) it's impossible to get all of the soap out of the bottle-unlike the foaming hand soaps. I will probably continue to buy a mixture of both types though! This mascara is so, so good y'all. It separates and gives so much volume, it looks good paired with another mascara for length. It even looks good on my bottom lashes & the trial sized tube is awesome and lasts a long time. I have two other trial sizes of this not opened yet, so I'm thankful for those...but when I run out, this one is on my list-it should be on yours too! I tried out a sample of this BB cream a long time ago, so I picked up the full-size for my "no-makeup, makeup" days. I really liked the sheer coverage it gave, but I honestly won't repurchase because now I'm more confident in not wearing makeup on my "off" days. I'd rather just let my skin breathe. But if you want a sheer coverage BB cream, this one is good! I love these EOS balms so much, I keep them stashed everywhere from my truck, my purse, my bedside table...everywhere! They're so moisturizing and they last so long. I have several more in different flavors to open and use-I can't wait to try new flavors! First things first, for a drugstore primer-this one is $16 which seems really expensive to me. But I really liked how this one worked, it was very smoothing and it didn't irritate my face or clog my pores. However, do I think there are cheaper options that work almost as well-yes. But this one is a good option that I might consider purchasing again-plus the packaging is gorgeous! I got this in an Ispy bag a long time ago (when I actually spent my money on subscriptions) and for the longest time, I had no idea how to use it. It's a translucent powder and when I finally figured out I could use it to set my under-eyes, it became a game changer. I love this product so much that I will probably be re-purchasing for sure because I haven't found a drug-store translucent powder that compares. This one is so finely milled and it sets powder so securely that there is no creasing happening, I love it! I absolutely adore Exuviance products, they are truly great quality. This mask is supposed to diminish dark spots and create a more even tone, which I feel like it does. My face usually feels considerably more brightened afterwards. I also love the fact that this is a sheet mask because it's not messy. If you're in the market for a face mask that is relaxing and actually does the job-this one is that! 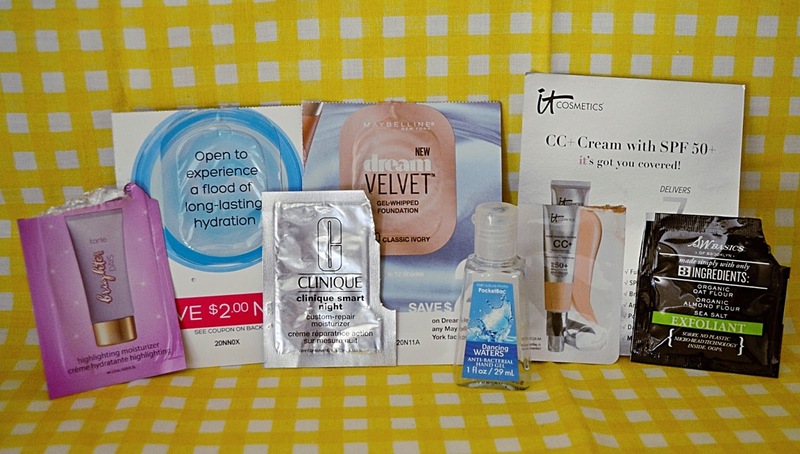 I was sent this product a long time ago when I was first beginning my blog & when I was first jumping into skin care. While the eye gel was very hydrating, I have discovered over time that I really like an eye cream that sinks into a skin rather than a gel like this that sits on top (or feels like it does). This one isn't "empty" but I am tossing it, I don't like products that I'm never going to use crowding up my storage. I LOVE trying out new masks so when I saw a discounted pack of Target's Que Bella mask's after Christmas I picked them up. This is the only one that I've tried...but y'all, it was SO bad. It's supposed to be pomegranate but the scent was so chemically and strong. The product was so goopy and it just felt bad, it was so sticky it was honestly difficult to get off. I use masks to relax and there was nothing relaxing (or refreshing) about this one. If you've read my blog at all for like the last six months, you would know about my obsession with this eye cream. It is so silky and smooth and soaks into your under-eye area so well, it leaves them hydrated and I just love it. This little bottle lasted me forever and I'm dreading having to purchase it again. But I'm currently using a slightly cheaper drugstore option that is almost as good that I cannot wait to share with y'all! 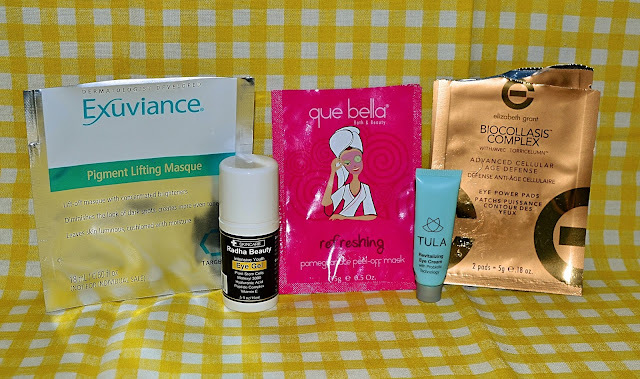 I purchased these at a discount store because on Influenster they had pretty decent reviews & they were inexpensive, plus I really really like trying face masks and eye pads. These work fairly well, although now that I'm only down to one pack I'm noticing that they are drying out. They haven't changed my under-eye dramatically, however they are soothing and refreshing. There are so many things that I love about this shampoo; the scent (OMG the scent is so good), how it made my hair feel, the formula...but this packaging is SO bad. I bought it at Target and was drawn in by the jumbo size but I will never again. The bottle bowed in and made it impossible to get the product out by just squeezing, you had to pop off the top (hard to do in the wet shower) and make sure it's been upside down in the shower so it would pour out. Really poor design by OGX, but I would buy the product again-just in the smaller sized bottle. Since my sister & brother-in-law own a salon, sometimes I get really lucky and get samples of products like this that I fall in love with. I used this when I needed a break from the horrible conditioner by Pura D'Or. This Redkin one was amazing; it moisturized my hair SO well and made it feel silky smooth and soft without weighing it down. I want a million bottles of this. I'll be honest, I got this in a Target Beauty Box & handed it off to my husband because I hate him using my expensive hairspray. But the couple of times that I reached for this on his counter, I really liked it. It was light and didn't weigh my hair down or make it crunchy. It seems like a pretty ideal drugstore option and I love that it's alcohol free. This was another product from a Target Beauty Box that I ended up loving! The formula of this shampoo is awesome and the scent is even better. It's so fresh and clean and made my hair feel amazing, when I need shampoo I will probably pick this up from Target! My husband and I stayed at a hotel that had Aveda products and I brought these back home with me because I liked them so much, so I just now finally used them up. The scent of this was so, so refreshing and nice and I loved how light the formula of this product left my hair feeling. However, in my search for the link for this product I found that Suave has a product in a similar scent...so I might pick that up and try it before I purchase the Aveda one! I was sent this conditioner a while back to review and when I first started using it, I really did enjoy it. I love that it's organic and cruelty free, I loved the soft lavender and vanilla scent. But I hate how it made my hair feel after extended use. I had to use a ton of the product first of all, then it still didn't help my hair feel manageable which caused more breakage than it helped. Overall, I feel like this product was kind of a dud and I won't be purchasing. Maybe I'm just not into natural products...I don't know, but I was not feeling this product. I used it a few times, since it was only a packet but it just didn't foam up very well and I didn't feel like it cleaned my hair enough. Apparently they don't make these anymore, which makes me really sad as I type this. Mostly because these were super convenient because you wet them before you used them, they don't come pre-moistened, which meant they couldn't dry out. The type of wipe was also really nice because it was almost exfoliating but not too rough. If anyone knows of another wipe like this one I would appreciate knowing about it! I could rave about Exuviance products all day long because I've never tried a bad one before, I like them all. But these are really, really great. I used up four of them this time around and if you have problems with texture on your skin then you need to pick these up. When used consistently my skin is softer and my makeup looks better when applied. It's a two-step system that takes about 10 minutes to do, but you only do it once or twice a week at most, and it's so worth the time and money. I got these in a Target Beauty Box & was planning on trying them out last week to take them on an upcoming trip...and I'm glad I tested them out before I took them because they are awful. 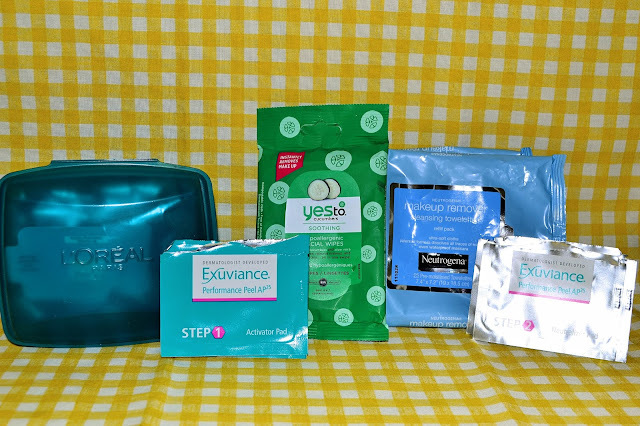 I don't use wipes to remove my full face of makeup, just as a last cleansing step to take off any remnants from my other cleansing methods. But these were rough and didn't have a lot of product to even take off makeup...and the smell, it's so strong and chemical scented, I couldn't stand it. I used them up because there were only ten...but never again. These are my holy grail makeup remover clothes. Like I said before, I don't use these to take off my full face, but kind of as a last step and they work great for that. They stay moist, they have the perfect amount of product on them, and they don't irritate my skin-what more could you ask for? I love them, I think you would too! I got this in one of my recent Tarte orders and I really liked the idea of it. It's a moisturizer that is supposed to brighten at the same time, which now that I'm attempting to go makeup-free on off days this one is a winner for me. In the future, I might invest in this one since it is a little bit of an investment at $32. But the radiant glow that it gives is worth that! Clinique has some really great skin products out there and I would love to test them all out over long periods of time but I unfortunately don't have the funds for that. This foil packet was enough for about two uses and it didn't have anything ground breaking about it that made me want to go buy it, it was just really nice. So if you have the money, yes-do it. If not, maybe try the next one I'm going to mention? I love trying out foil packets like this, because sometimes you find awesome products just like this one. I love a gel moisturizer, I just feel like they sink into your skin better and really get deep into your skin and give the hydration mine needs. When I run out of the moisturizers I have, this one is on my list to try full-sized. I like this foundation so, so much y'all. It's so good-I have it in the full size and I'm obsessed. It melts into your skin so well and feels weightless while still giving a good medium coverage that I can wear every single day and feel confident about my skin. I bought a ton of these when they changed over to their new shape, so I have so many to go through. But this scent is a really good one, very fresh and clean. I love that it wasn't overwhelmingly strong because I kept this one at my desk at school to use daily. They have really nice hand sanitizers scents, and they're almost always on sale. I really wanted to like this CC cream, but for almost $40 I would rather spend that money on a higher coverage foundation that I can use more often. This one feels really good, really light on the skin and I love the SPF (if you like wearing makeup to the beach or on fun days outside, this would be a really good option!) but it just isn't my cup of tea right now. Here's what I have to say about this: It came in a Target Beauty Box, so of course I wanted to use it and try it. Did it work? Yes. But did I like using it? Nope. It's messy and it just didn't feel good using it. It made my skin feel okay, but I hated using it and if I hate using something I will never buy it because it will go to waste. The powder (which is flour and salt basically) got everywhere and it was hard to use because you can only get wet what you want to use that time, but you have to get it wet to use it. I hate complicated products & this one was complicated. These are always in my empties because my husband and I use these for everything. We clean our ears (yeah, yeah we know we shouldn't but whatever), I clean up makeup mistakes, use them for our computer keyboards...you need some of these around & the store brand is a great money-saver. 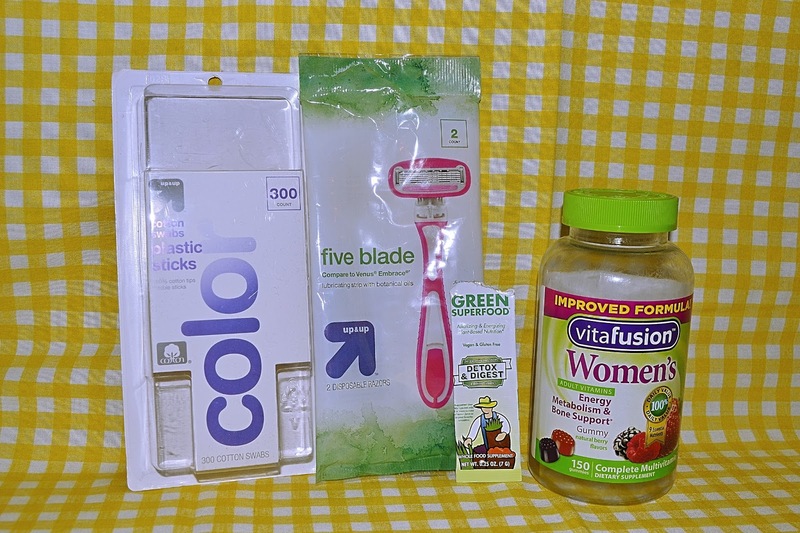 I got these in a Target Beauty Box, and while I'm not usually picky about my razors...these were really bad. They only were really usable for two or three uses and they seemed to rust quicker in the shower (once again, yes I know you shouldn't store your razor in there). I wouldn't buy these again. I received this in a promo box from Derma-E and was intrigued by the idea of a green powder for my smoothies. This one is supposed to help with digestion and cleansing, you can dissolve it in juice, water, or in smoothies. I tried the smoothie route with orange juice and frozen berries and it actually tasted really good. I have one more packet to use and I would really consider buying the larger size, it's got really good reviews on Amazon & I think it would be a great nutritional add to my smoothies this summer. I am a firm believer in taking a daily multivitamin and these have been my choice lately, mostly because I can buy them at Sam's in bulk and they're pretty inexpensive. They do the job and have everything that I'm looking for, including 133% of the recommended daily value of Biotin. This is seriously my favorite wintertime candle...when they come out (& when there is a sale) I stock up! It's a fresh, slightly creamy and sweet minty scent. It's not overwhelming and just makes your house smell clean and fresh, plus it's really great when you've got a winter cold! This candle just screams Christmas to me. I love how warm and spicy it is, when we have guests coming over during the Christmas season this was the candle I wanted to burn because it feels very homey. When Publix has these candles buy one get one free, it's hard not to pick up a few because they have such unique scents and they last a really long time. I loved this candle because it's slightly sweet, but you really get that buttery-ness to tone down the maple sweetness. This makes your whole house smell like fresh pancakes, I highly recommend! This is an older candle that I've hung onto forever, because it's that good. It's similar to the Maple Butter candle above because it's supposed to smell like caramel and sweet cream, which it really does. In case you don't know, the reason why my candles last so long is because after the wick is burned up I use a candle warmer to use up the wax. When they start having more of a burnt smell than actually smelling like the candle, I know it's time for them to move on. It truly helps you get the most bang for your buck with you candles though! If you made it to the end of that long (& sometimes ranting) post, you're the real MVP! Let me know below what products you recommend, do you use any of these & love or hate them too?! 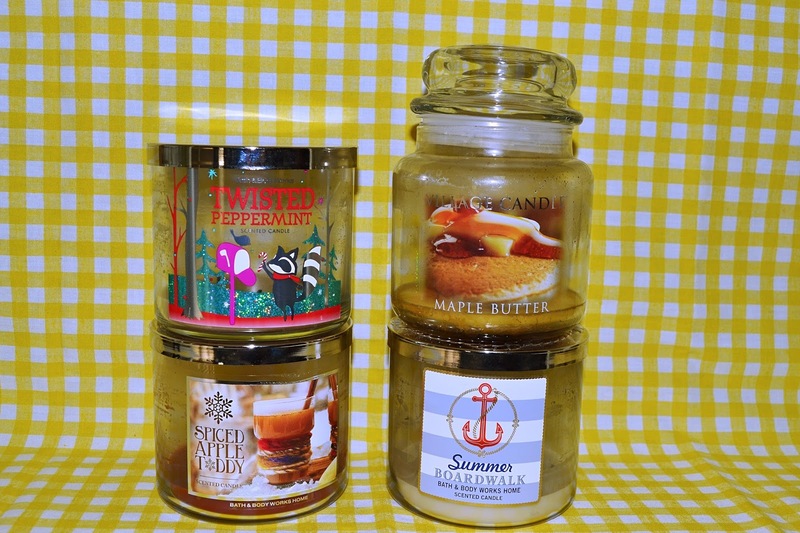 I love the Twisted Peppermint scent at B&BW! Wow... you managed to finish four candles?! Hahaha good for you!! I have trouble even burning one....xD and Neutrogena make up remover is AMAZING!! 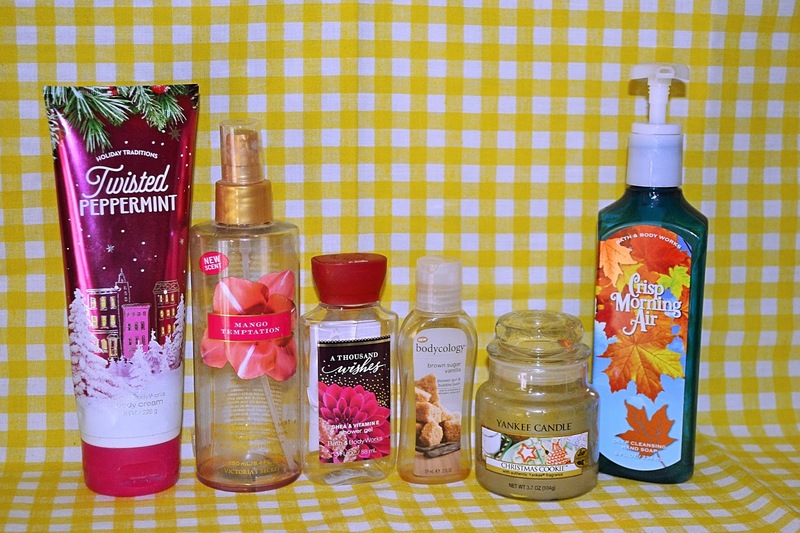 I love TULA products and B&BW handsoaps. SO good. Good job on having that many empties! I love the Angel Veil primer, I'm almost out of mine and need to repurchase as well! I love how detailed your review is! Super informative. love honest reviews-the VS Mango sounds intriguing! Great list of products! I'm currently loving my B&BW white tea and pear candle! Great face masks as well! I've also been on a mission to use the lotions/creams I already have opened before using the new scents I got for Christmas. B&BW is my favorite! I started keeping one lotion in my car and find that I reach for it frequently throughout the day. 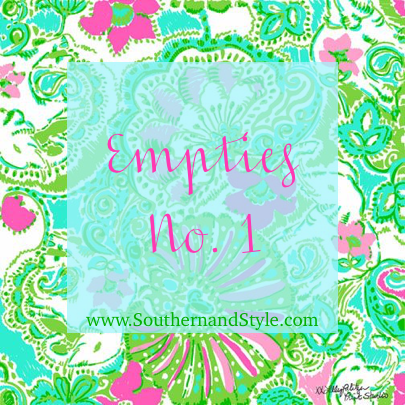 I love seeing posts on empties- looks like you picked out some great products! I'm a sucker of all things bed, bath and beyond! These products sound great! I was wondering what you meant by empties but this is such a cute idea!!! I love to know what people love so I can try myself!